Here is a list of top tourist attractions in Cyprus. Only the topmost tourist destinations are presented here. To see other destinations, please check the images from Cyprus section. Curious if any of these place from Cyprus made it our best tourist attractions in the world list? Read the aformentioned article in order to find out. You can also view all tourist attractions in Cyprus and other countries on our tourist attractions map. The Holy, Royal and Stavropegic Monastery of Kykkos, which lies 20 km west of Pedoulas, is one of the wealthiest and best-known monasteries in Cyprus. The Holy Monastery of the Virgin of Kykkos was founded around the end of the 11th century by the Byzantine emperor Alexios I Komnenos. The monastery lies at an altitude of 1318 meters on the north west face of Troödos Mountains. There are no remains of the original monastery as it was burned down many times. The first President of Cyprus, Archbishop Makarios III started his ecclesiastical career there as a monk in 1926. He remained fond of the place and returned there many times. His request to be buried there materialised after his death in 1977. His tomb lies 3 km west of Kykkos monastery and remains a popular visitor destination. Khirokitia is an archaeological site on the island of Cyprus dating from the Neolithic age. It has been listed as a World Heritage Site by UNESCO since 1998. The site is known as one of the most important and best preserved prehistoric sites of the eastern Mediterranean. Much of its importance lies in the evidence of an organised functional society in the form of a collective settlement, with surrounding fortifications for communal protection. The Neolithic aceramic period is represented by this settlement and around 20 other similar settlements spread throughout Cyprus. Hala Sultan Tekke or the Mosque of Umm Haram is a Muslim shrine at Alykes, Cyprus—near Larnaca. Umm Haram was the Islamic prophet Muhammad's wet nurse and the wife of Ubada bin al-Samit. Hala Sultan Tekke complex is composed of a mosque, mausoleum, minaret, cemetery, and living quarters for men and women. The term tekke applies to a building designed specifically for gatherings of a Sufi brotherhood, or tariqa, and may have referred to an earlier feature of the location. The present-day complex, open to all and not belonging to a single religious movement, lies in a serene setting on the shores of the Larnaca Salt Lake, which appears to be an important site also in prehistory. Hala Sultan Tekke is a listed Ancient Monument. The Tombs of the Kings is a large necropolis lying about two kilometres north-west of Paphos harbour in Cyprus. It is a UNESCO World Heritage Site. The underground tombs, many of which date back to the 4th century BCE, are carved out of solid rock, and are thought to have been the burial sites of Paphitic aristocrats and high officials up to the third century CE. Some of the tombs feature Doric columns and frescoed walls. Archaeological excavations are still being carried out at the site. The tombs are cut into the native rock, and at times imitated the houses of the living. Although the tombs have been known and casually explored for centuries, they were first subjected to systematic excavation in the later 1970s and the 1980s under the direction of Dr Sophocles Hadjisavvas, now Director of Antiquities of the Republic of Cyprus. Dr Hadjisavvas is preparating the finds for publication with assistance from the Australian archaeological mission to Paphos. Part of the importance of the tombs lies in the Paphian habit of including Rhodian amphorae among the offerings in a burial. Through the manufacturing stamps placed on the handles of these amphorae, it is possible to give them a date and, through them, the other material from the same burial. Kolossi Castle is a former Crusader stronghold on the south-west edge of Kolossi village 14 kilometres west of the city of Limassol on the island of Cyprus. It held great strategic importance in the Middle Ages, and contained large facilities for the production of sugar from the local sugarcane, one of Cyprus's main exports in the period. The original castle was possibly built in 1210 by the Frankish military, when the land of Kolossi was given by King Hugh I to the Knights of the Order of St John of Jerusalem. The present castle was built in 1454 by the Hospitallers under the Commander of Kolossi, Louis de Magnac, whose arms can be seen carved into the castle's walls. Owing to rivalry among the factions in the Crusader Kingdom of Cyprus, the castle was taken by the Knights Templar in 1306, but returned to the Hospitallers in 1313 following the abolition of the Templars. The castle today consists of a single three-storey keep with an attached rectangular enclosure or bailey about 30 by 40 metres. As well as its sugar. the area is also known for its sweet wine, Commandaria. At the wedding banquet after King Richard the Lionheart's marriage to Berengaris of Navarre at nearby Limassol, he allegedly declared it to be the "wine of kings and the king of wines." It has been produced in the region for millenia, and is thought to be the oldest continually-produced and named wine in the world, known for centuries as "Commandaria" after the Templars' Grand Commandery there. The Church of Saint Lazarus, is a late-9th century church in Larnaca, Cyprus. It belongs to the Church of Cyprus, an autocephalous Greek Orthodox Church. The Church of Saint Lazarus is named for New Testament figure Lazarus of Bethany, the subject of a miracle recounted in the Gospel of John, in which Jesus raises him from the dead. According to Orthodox tradition, sometime after the Resurrection of Christ, Lazarus was forced to flee Judea because of rumoured plots on his life and came to Cyprus. There he was appointed by Paul and Barnabas as the first Bishop of Kition. He is said to have lived for thirty more years and on his death was buried there for the second and last time. The Church of Agios Lazaros was built over the reputed tomb of Lazarus. Petra tou Romiou, also known as Aphrodite's Rock, is a sea stack in Pafos, Cyprus. The combination of the beauty of the area and its status in mythology as the birthplace of Aphrodite makes it a popular tourist location. The sea in this region is generally rough, persuading tourists not to swim there. It is not permitted to climb the rock. A restaurant, a tourist pavilion and the Aphrodite Hills resort are nearby. Aphrodite Hills is a coastal resort in the Paphos district, Cyprus. It is named after the goddess Aphrodite and the resort is only one mile away from Aphrodite's Rock. The resort is built on two elevated plateaus divided by a natural ravine. The resort has many features of a Mediterranean town; Greco-Roman architecture dominates, locally quarried stone is used in buildings and the town square has a market, restaurants, souvenir shops, a chapel, fragrant gardens, splashing fountains and an art gallery. The resort also has a spa, golf course, and leisure facilities. Nearly all landscaping vegetation and development has been planned in advance, and therefore the resort is spacious and lacks the typical sprawl and density of most villages in Cyprus. Coral Bay is a popular tourist resort in the Peyia municipality 6 km North of the city of Paphos. The coast to the north and to the south of Coral Bay is characterized by rocky headlands and sea caves, Coral Bay itself is a 600m crescent of soft white sand, enclosed by a pair of limestone headlands. Coral Bay beach carries an EU Blue Flag certification which means that it adheres to all standards, rules and regulations required by the relevant committee of the European Union. This makes Coral Bay a cosmopolitan beach visited by tourists and locals alike. The broader area of Coral Bay encloses another beach called Potima Bay. It is situated about 1.5 km / 1 mile away bordering the boundaries of Kissonerga village. This beach is a long pebbly beach with a deep blue sea that offers relaxation, tranquillity and privacy and attracts swimmers that are seeking just that. Apart from Blue Coral Beach Villas, an exclusive luxury holiday villa complex, there are no other buildings on this beach. A regular bus service runs between Coral Bay and Potima Bay every 15 minutes and the journey time is 3 minutes. Stavrovouni Monastery is a Greek Orthodox monastery which stands on the top of a hill called Stavrovouni in Cyprus; it is sometimes simply known as Stavrovouni. The monastery is one of the only places where one can see a piece of the Holy Cross. The Cyprus Museum is the oldest and largest archaeological museum in Cyprus. The museum houses artefacts discovered during numerous excavations on the island. The museum is home to the most extensive collection of Cypriot antiquities in the world and is located on Museum Street in central Nicosia. Its history goes hand in hand with the course of modern archaeology in Cyprus. Of note is that only artefacts discovered on the island are displayed. Larnaca Salt Lake is a complex network of four salt lakes of different sizes to the west of the town of Larnaca. The largest is lake Aliki, followed by lake Orphani, lake Soros and lake Spiro. They form the second largest salt lake in Cyprus after the Limassol Salt Lake. The total surface area of the lakes adds up to 2.2 km² and being just off the road leading to Larnaca International Airport is one of the most distinctive landmarks of the area. It is considered one of the most important wetlands of Cyprus and it has been declared a Ramsar site, Natura 2000 site, Special Protected Area under the Barcelona Convention and an Important Bird Area. It is surrounded by halophytic scrubland and on its bank lies the Hala Sultan Tekke, one of the holiest of shrines within Ottoman Islam. It houses Umm Haram’s tomb, Muhammad's 'wet-nurse'. Besides its picturesque beauty, the lake is the haunt of 85 species of water-birds with estimated populations between 20,000–38,000. It is one of the important migratory passages through Cyprus. Among them are 2,000–12,000 flamingoes which spend the winter months there feeding off populations of the brine shrimp Artemia salina. Other important bird species are the Grus grus, Charadrius alexandrinus, Larus ridibundus, Himantopus himantopus, Burhinus oedicnemus, Hoplopterus spinosus, Oenanthe cypriaca and Sylvia melanothorax. Flocks of birdwatchers gather to observe the blaze of pink from flamingoes as they gather in the centre of the lake but also the other important migrants. The Larnaca Salt Lake complex was declared as a protected area by a decision of the Council of Ministers in 1997. Recent evidence suggests that contrary to previous belief the Greater Flamingo, not only stops over but also breeds on this wetland. GSZ Stadium or Gymnastic Club Zenon Stadium is a multi-purpose stadium in Larnaca, Cyprus. Usually it is referred as the 'neo GSZ Stadium' to distinguish it from the old GSZ Stadium, which it replaced. It is currently used mostly for football matches and is the home ground of AEK Larnaca FC. The stadium holds 13,032 people and the owner of that stadium is the Gymnastic Club Zeno which took its name from the native philosopher of Larnaca Zeno of Citium. Before the merge of Pezoporikos and EPA Larnaca into the new football club AEK Larnaca FC, it was also the home of those two clubs. In 2006 it hosted the Cypriot Cup final between APOEL and AEK Larnaca FC, where APOEL won 3-2. However the greatest event that was hosted in the Larnaca Stadium was the final for the 1998 UEFA European Under-19 Football Championship between Republic of Ireland and Germany where they tied 1-1. Republic of Ireland beat Germany 4-3 on penalties and won the trophy. During the same day, the Third Position final playoff was played for the same tournament and in that match Portugal beat Croatia 5-4 on penalties as well while the match ended 0-0. Paphos Castle is located on the edge of Paphos harbour. It was originally built as a Byzantine fort to protect the harbour. It was then rebuilt by the Lusignans in the thirteenth century after being destroyed in the earthquake of 1222. In 1570 it was dismantled by the Venetians. After capturing the island, the Ottomans restored and strengthened it. Throughout the ages it has seen many uses. It has served as a fortress, a prison and even a warehouse for salt during the British occupation of the island. More recently the castle serves as a backdrop to the annual open air Paphos cultural festival which takes place in September. It was declared a listed building in 1935 and represents one of the most distinctive landmarks of the city of Paphos. Several archaeological excavations have taken place to investigate its past. The Pafiako Stadium is a multi-use stadium in Paphos, the stadium holds 9,394 people. It has a full size running track around the outside of its football and rugby playing field and is used for many athletics events throughout the year. It is regarded as one of the best pitches in Cyprus and situated ideally for the public. It is the home stadium of AEP Paphos and AEK Kouklia now play there as well following their promotion to the Cypriot First Division. It was the home stadium also of APOP and Evagoras, but was used also as home by APOP Kinyras Peyias, when they were in the First Division in 2005-06. GSK Stadium, or Gymnastic Club Korivos Stadium was the home of APOP and Evagoras before the Pafiako was built. 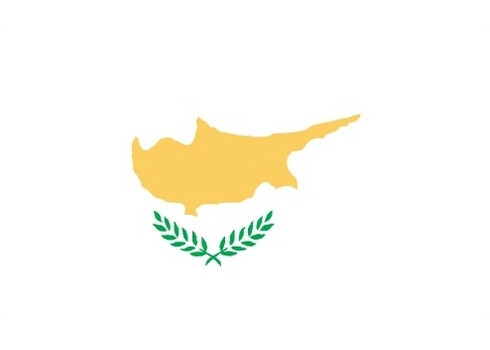 In 1992, the UEFA European Under-16 Football Championship was hosted in Cyprus and three matches of the tournament were hosted in Pafiako stadium. Also various music venues took place here. The stadium has also become the home of the National Rugby Team of Cyprus, having played a total of 3 games there and winning all. The first game of the European 3D tournament in 2007 between Cyprus and Azerbaijan was played there. The stadium has only become the official national team stadium since 2010, where Cyprus overcame Azerbaijan and Bosnia respectively to gain promotion into the 2nd tear of European Rugby. It also hosted the final stage of the European Sevens in a two day tournament. Fig tree bay, is a well-known sandy beach in the resort of Protaras, Cyprus. In 2011 it was voted as the 3rd best beach in Europe whilst in 2013, it was voted as the 13th best beach in Europe on TripAdvisor. As with all beaches in Cyprus access to the public is free, whilst bed and umbrella hire is chargeable. A municipal car park provides parking within a short walk. The sandy beach stretches for 500m and the waters are clean enough for the beach to have been awarded blue flag designation. The beach which runs the length of its own cove, takes its name from the fig trees located close to the coast. There is an uninhabited islet is easily reached by swimming through the shallow waters and its location provides a good shelter for the rest of the beach. The islet is covered with low level local vegetation. In contrast to other local beaches such as Nissi beach Fig tree bay has become a popular destination for families. Water sports such as water-skiing, windsurfing and pedal boating are available. Lifeguards and lifesaving equipment are available on the beach from April to October from 9am to 6pm. In 2010, during structural improvements to the beach, an ancient Greek tomb was unearthed thought to be untouched since antiquity. Minthis Hills is a resort close to Tsada village in the south west district of Paphos, Cyprus. Alsos Forest is one of the municipal parks of Nicosia. The park forms an almost unbroken stretch of open land reaching from Pallouriotissa to Aglandjia. To the northwest is the entance of the University of Cyprus,overlooks on its northeast is the building that will host Cyprus European Presidency in 2012 and Aglandjia Public High School. The park provides Nicosia with a much needed ecological boost. It hosts a large playground, cafeteria, paths through the forest for pedestrians, a basketball and football court.